Our urge to collect is driven by varied and at times complex motivations: the thrill of acquisition, the desire to create a legacy for future generations, or simply the pleasure of owning a fine work of art. 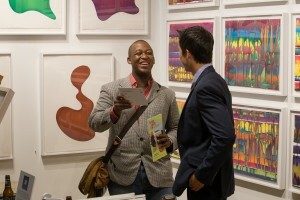 This brief guide offers some suggestion on how to initiate, expand, and care for a collection of contemporary prints. Before you begin to buy you should visit museums, galleries, auction houses and art fairs to acquaint yourself with the contemporary art scene. Reviewing art-related publications, like Art Forum or Art in America, will also help to familiarize you with a variety of artists and their work as well as current scholarship and market trends. Consider taking a class or two on the history of prints or printmaking techniques, to better understand the objects you are contemplating for purchase. The more serious collector may even want to consider hiring an art advisor, dealer or auction house specialist to provide guidance in connoisseurship and investment matters. As you become more knowledgeable, you should begin to define your interests and to formulate a set of criteria for future purchases. This will help to focus your collection. Quality and artistic significance: Is the print an exceptional example of that artist’s work? How does it relate to other works within that artist’s oeuvre? Condition: Is the print in excellent condition? (This is especially important if you are buying a work on the secondary market.) Do the materials or techniques pose special conservation problems? Technical considerations: How was the print produced? Does it display superior craftsmanship or technical excellence? Rarity and edition size: How large is the edition? Are there any variations within the edition? Has this artist produced many prints or very few? History of ownership, literature and exhibition history: Has the print been widely exhibited? Included in important books and catalogues about the artist? Owned by a prestigious collector or famous individual? 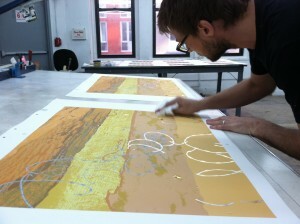 The Lower East Side Printshop has served as a resource for contemporary print collectors for decades. In becoming a member and regular supporter of this institution you will receive invitations to special events, such as artist talks and private viewings with curators. Members of the Printshop gain access to a network of fellow collectors, artists and arts professionals who share similar interests and related expertise. Additionally, since the Printshop produces prints with a variety of contemporary and emerging artists, members are often among the first to view these artworks and have the inside track on prints available for purchase. Cristin Tierney is owner and director of Cristin Tierney Gallery in New York. She is also an advisor to a number of private collectors and institutions in the United States and is a Ph.D. candidate at the Institute of Fine Arts, New York University. Prior to founding Cristin Tierney Gallery, she was a consultant for many years at Christie’s auction house. She has taught graduate level seminars on the history of the art market at Christie’s Education and undergraduate art history at New York University.